History will be made once again in 2014 in the South African entrepreneurship arena with the second cohort of students beginning their Postgraduate Diploma in Small Enterprise Consulting (PG Dip SEC) – the first postgraduate programme of its kind in South Africa which targets consultants, coaches and mentors working with entrepreneurs instead of the entrepreneur themselves. “Entrepreneurship is vital to South Africa’s economic growth and entrepreneurs need sustained, expert mentorship and coaching through both the incubation and growth stage. TSiBA noticed a gap in the market for a formalised, academic course aimed specifically at those people who work closely with entrepreneurs and small business owners in developing their businesses to ensure that they are profitable and sustainable“says Adri Marais, CEO of TSiBA Education. 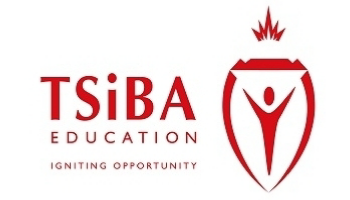 “TSiBA was founded in 2004 as a not-for-profit business school with the mission of being an innovative learning community graduating entrepreneurial leaders who ignite opportunity and social change. This is why the PG Dip SEC is such a natural extension to TSiBA’s innovative offerings in helping fulfil this mission”. The 18-month modular part-time course at NQF Level 8 accreditation is currently only available at the Tertiary School in Business Education (TSiBA). The course has an integrated practical learning component where students select entrepreneurs and consult with their over the duration of the programme. PG Dip SEC is a “paid-for” course, but all course fees will be ploughed back into TSiBA to cover tuition scholarships for more undergraduate students. The PG Dip SEC’s prestigious lecturers were hand-picked for the nine core modules. The group includes Dr. Jonathan Marks, Dr Svea van der Hoorn,Nolan Beudeker Dean of TSiBA and Dr Christo Nel.